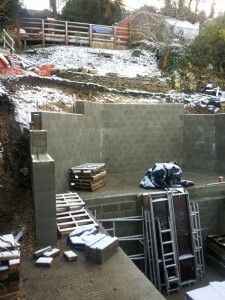 Progress in Eastcombe, Stroud with the construction of large retaining walls. 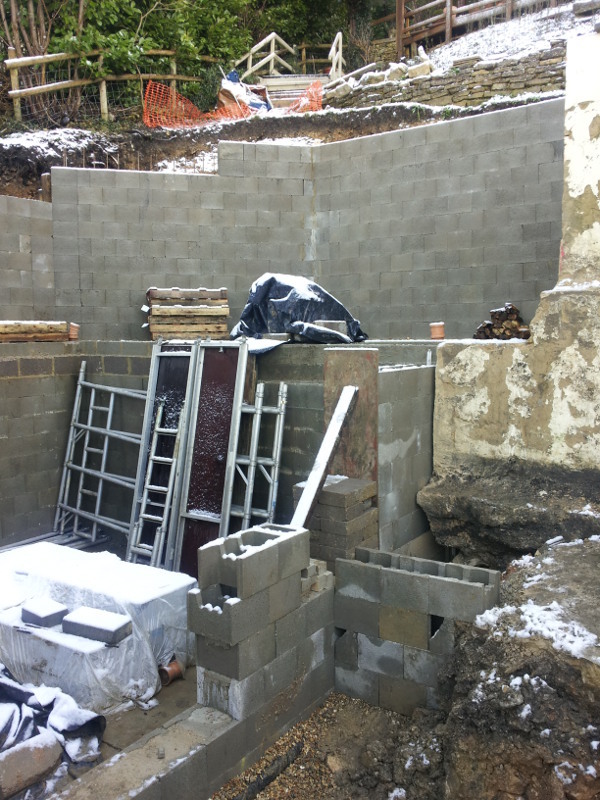 The walls are on a steeply sloping site with the lower level incorporated into an extension to a house and the upper level forming a terrace accessed from the new first floor. 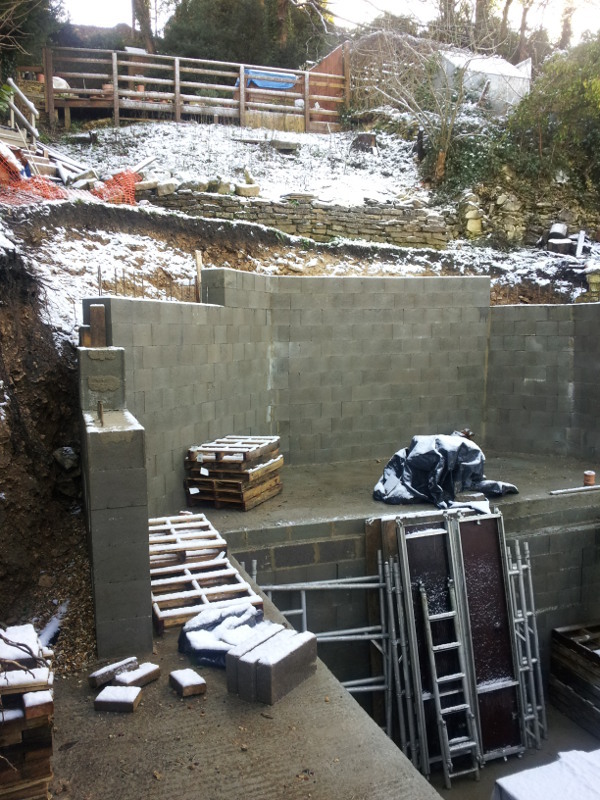 Constructed from Stepoc hollow blocks with reinforcement they can be installed quickly without the need for shuttering. 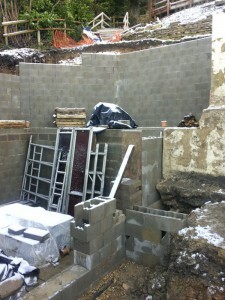 The architect is Design for Living and the contractor is InShape Stroud.